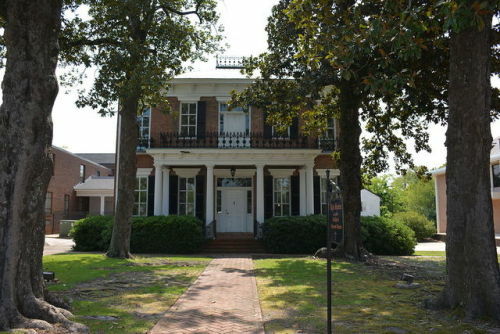 Originally constructed for a local merchant named #James Kyle in the early 1800’s, the #Kyle #Hosue in Fayetteville, North Carolina burned down in 1831, and was rebuilt in 1855. Visitors report witnessing the #apparition of a former resident, believed to be either James Kyle or his great-great-grandson, Jesse Kyle. The #house was added to the #National #Register of #Historic #Places in 1972, and purchased by Saint John’s Episcopal #Church in 1991.